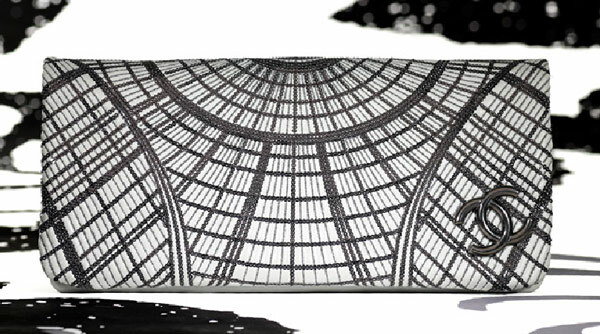 Chanel’s Spring 2011 handbags are here! Since Chanel showed its diverse, covetable selection of Spring 2011 handbags in Paris back in October, I’ve been waiting patiently (ok, not-so-patiently) for detailed shots of the designs to hit the web. Now that they have, I feel confident saying that along with Pre-Spring 2011, Chanel Spring 2011 is some of the strongest work from the brand’s accessories team in recent memory. There’s a little something for everyone here, from the staunch Chanel traditionalist to the young woman who wants to mix neon and tweed. 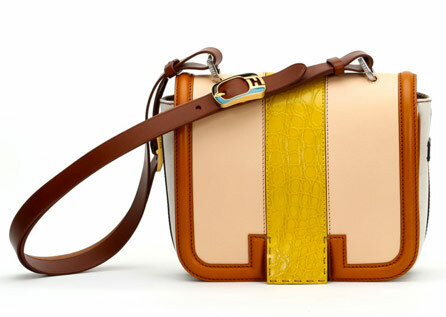 I’ve already pontificated on just how much I love Fendi’s Spring 2011 handbags, but now that promo photos are out and we can all get a clearer, closer look at the bags than runway shots afford us, I feel the need to reiterate: This collection is great, and from a purely accessories standpoint, it’s one of the very best of the season. It’s exceedingly rare that I see a bag from Alexander Wang that I don’t like or appreciate in any way, and it looks as though Wang’s Spring 2011 bags will continue that trend in full force. His dark, sometimes-industrialist version of downtown cool certainly qualifies as “taste specific” and tends to skew young and urban, but for those of us who fit into his niche, Wang’s relatively well-priced bags are among the most anticipated of any new season. 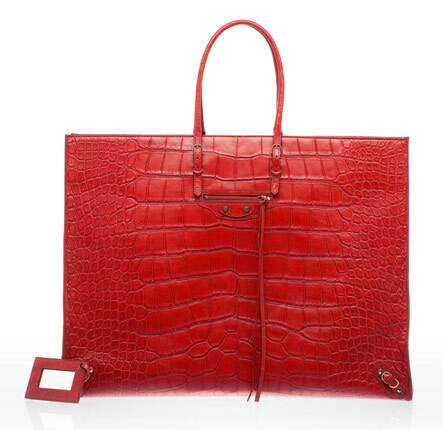 Spring 2011 bag collections have already started to emerge for preorder on all of the major luxury retail websites, but some brands are quicker about having their items posted than others. 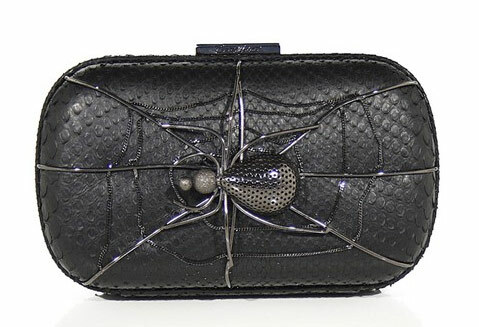 I have yet to find any Alexander McQueen Spring 2011 handbags up for grabs, but I was able to find a few press pictures of the collection for our mutual enjoyment. 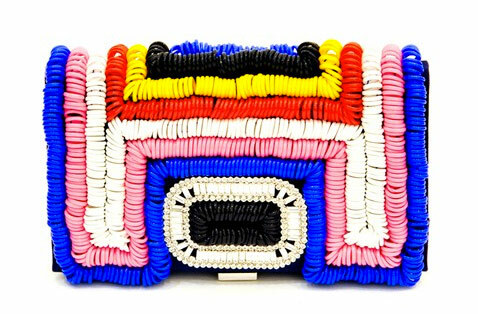 At this point, it might be entirely useless to try to review Nancy Gonzalez’s Spring 2011 handbags, or any set of handbags from the Colombian accessories maven. She does one thing (exotics), and does it extremely well. 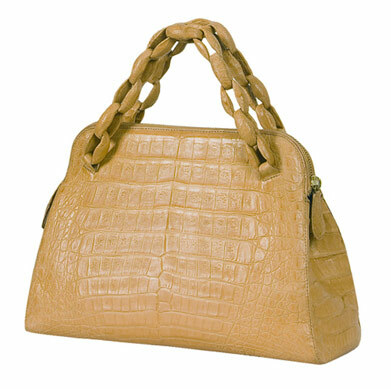 You’ll find no trend-chasing or gimmicks within this line, just piece after piece of luxurious exotic leather formed into handbags of every size, shape and color imaginable. Over its ten year history, the great strength of the Balenciaga motorcycle bag has been its ability to be something of a sartorial Rorschach test. Because of the design’s simple lines and ability to morph from shape to shape while still being unmistakably Balenciaga, a prospective customer can see in it whatever she would like to see, and Nicolas Ghesquiere & Co. have taken to releasing it in every color, material and silhouette possible. All the better to collect, my dears. For one reason or another, some designers go absolutely bonkers when it comes time to decorate a simple little box clutch. I’m not sure if it’s because the small proportion lends itself more easily to making big ideas wearable or if the structured feel of the bags makes them easier to decorate intricately, but it seems as though Corto Moltedo Spring 2011 takes note of both of those advantages. In the past, Italian luxury brand Valextra might have seemed a bit boring to many shoppers (and it probably still does to some). The company’s emphasis on fine leathers and extremely simple lines has always appealed to a very specific customer, particularly in light of the brand’s sometimes astonishingly high prices. 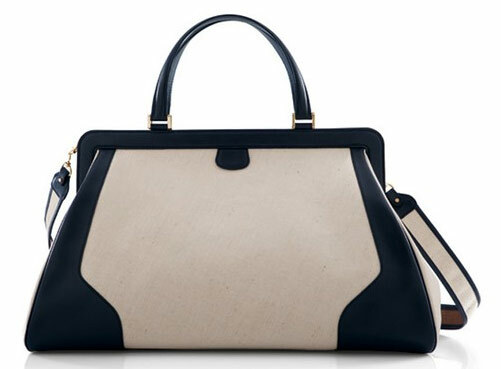 With the fashion world’s newfound embrace of minimalism (at least for now), though, Valextra’s contributions to the handbag conversation seem more important than ever, which is why we bring you a preview of Valextra Spring 2011. 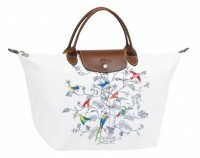 For one reason or another, I just can’t get behind Longchamp‘s leather bags over the past few seasons, and sadly, Spring 2011 continues that trend. 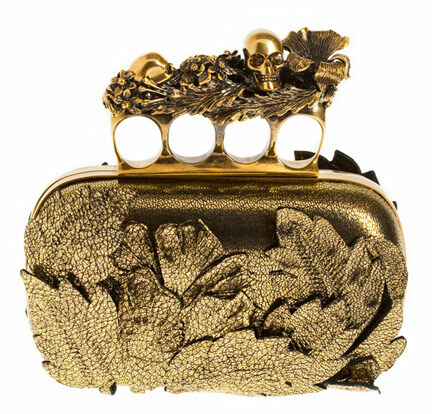 The pieces go from too mundane to overworked quickly, with only a seafoam python shoulder clutch holding any kind of middle ground between the two extremes. French accessories designer Jerome Dreyfuss may have one of my favorite contemporary handbag companies on the face of the planet, and I only wish that his accessories were more available in the US. 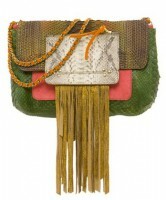 Seeing the simultaneously attention-getting and useable bags that Dreyfuss has created for Spring 2011 only makes wish it even more fervently. All it takes is one cruise through Roger Vivier‘s website to know that the company highly regards the use of wit and whimsy in its shoes and bags, and its Spring 2011 handbag collection follows that path into very literal territory. Whether you enjoy the results or not probably depends heavily on how you feel about your luxury goods having a sense of humor. When I think of Furla, I conjure up pictures of nicely made if slightly predictable leather goods for a mid-market audience. Furla’s designers would apparently like to tweak my notion of their brand just a bit, and adding in see-through vinyl bags in candy colors is probably about as effective a way to do that as I can think of.